Fun read. At a significant point in this little slice of history these cars were powered by twin airheads in the same family tree as our own. 600 to 650 cc. In 1961, the Puch 500 range was expanded with this very charming station wagon, based of course on the Fiat 500 Giardiniera. In order to haul the heavy loads of potatoes or turnips from the farm to the market, it also got a larger engine: the same 650 cc version of the boxer twin as used in the Haflinger, rated at 25 hp for the 700C (“Combi”), and 20hp for the 700E (“Economy”). The extended body had a surprising amount of room. These were actually used mainly by commercial firms and tradesmen; if you called a plumber or electrician or such, he might very likely have shown up in one of these. As such, they mostly lived a hard life, and not many of the 9,077 made survived the ordeal. 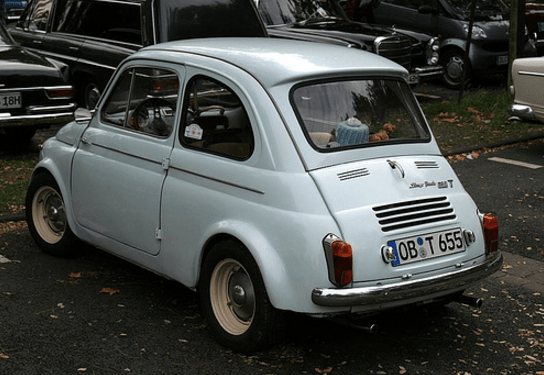 Despite being more powerful than the Fiat 500, Austrians weren’t nearly yet satiated with the 19.8 hp the Puch 500 DL had on tap. Hey; it was the swinging sixties, the muscle car era was becoming a global phenomena, and Austrians were not to be denied! So Steyr-Puch got on the bandwagon, and started stuffing bigger and ever-more potent hemis into the little Pucherl to turn it into a giant killer. Starting in 1962, the bigger 643 cc engine from the Haflinger and 700C was now available, and replaced the 500DL. The first version, the 650T, packed all of 22.8 hp. I know…without those pesky decimal points, these power figure would really mean something. But then these cars did weigh just around 1,000 lbs (470-580 kg). I've often just smiled at the characterization of our r65 as "underpowered" or "anemic". I ride a couple of Puch mopeds made within a year of my R65. I use them to commute to work all summer and for groceries, beach runs, and just plain fun exploring, often in places my r65 would not be considered welcome. I actually put more time in the saddle on the 50cc 2hp Puchs than the R65. When I do get on the BMW it feels luxuriously overpowered. In 80 mph traffic it will perk up and pin my ears back to pass the car ahead of me if I wish to! Reading some of these automotive/motorcycle histories reminds us that our needs and expectations may be a bit out of whack. Obviously the vehicles in these articles are unsuited for modern US superhighways. But they were, and still would be, perfectly adequate for in-town and secondaries, and they had HALF the HP of our little motorcycles. I'd trade a significant bit of what soul I might still trade on for that little station wagon above. 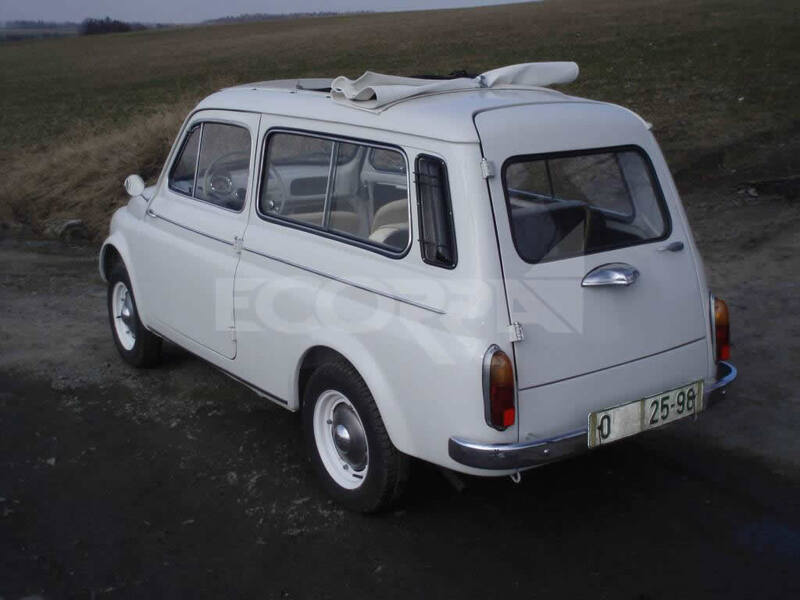 My very first project car was a fiat 500 station wagon. I bought it for £5 just to play with. At one point I sneaked the engine upstairs and hid it under my bed until my mother found it. The Fiat engine was a parallel twin and quite compact. Thanks for the 'little' history lesson!